In Tennessee, certification of materials for use as organic fertilizers is currently handled by the Tennessee Land Stewardship Association. The word organic applied to fertilizers usually means that the nutrients contained in the product are derived solely from the remains of a once-living organism. If these products are registered with the Tennessee Department of Agriculture as fertilizers, they will have the fertilizer grade stated on the package labels. These labels may or may not include the total nutrient value, but only what is guaranteed. Some organic materials, particularly composted manures and sludges, are often registered and sold as soil conditioners instead of fertilizers. Soil conditioners do not have a nutrient guarantee, even though various amounts of plant-available nutrients are usually present. Soil conditioners are materials having properties that may improve the soil's physical condition. Those soil conditioners with substantial nutrient value have much greatest potential for use in a cost-effective manner. In general, organic fertilizers release nutrients over an extended period of time. They act much like the slow-release fertilizers. Potential drawbacks include the uncertainty of releasing enough of their principal nutrient at the proper time, costs, odors, commercial availability of the products and relatively low nutrient contents. Some products may also attract animals after application. Cotton-seed meal, blood meal, bone meal, fish emulsion and all animal manures are examples of these materials. Other organic-like materials (sewage sludge products, urea) are commonly available but usually not approved for use in the certified organic production systems. Sewage sludge is a recycled product of municipal sewage treatment plants. Forms commonly available are activated, composted and lime-stabilized. Activated sludge has higher concentrations of nutrients than composted and is sometimes registered with the Tennessee Department of Agriculture as a fertilizer material, and sold in a dry, granular form. Composted sludge is primarily used and registered as a soil conditioner. Lime-stabilized sludge may change the soil pH a great deal more than it does soil nutrient content. The liming value varies, but producers should always be aware of this liming effect when using this material. Overuse may result in raising soil pH higher than might be desirable for the current crop. There is some question about the long-term effects of using sewage sludge products, especially in the vegetable production systems. This resource is well-suited for use in the nursery or sod production industries. Pastures and hay fields may benefit from judicious applications of the lime-stabilized materials. A laboratory analysis of the product should be completed and results thoroughly eval prior to use. Urea is an example of a synthetic organic fertilizer, an organic substi manufactured from inorganic materials. Compared to synthetic fertilizer formulations, organic fertilizers are relatively low in concentrations of actual nutrients, but may perform othe soil-conditioning functions. These functions include: increasing the organic matte content of the soil, improving soil physical properties and increasing microbial activity. They are sometimes not economical to use in conventional agronomic production systems. 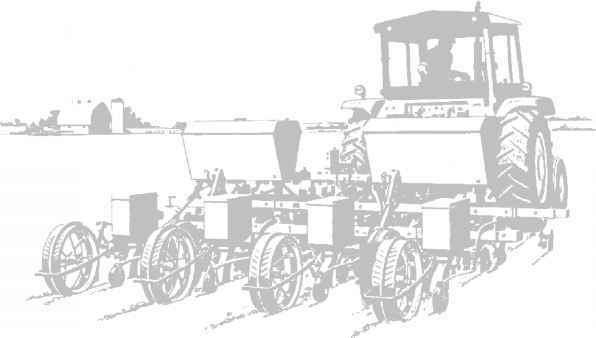 Your fertilizer dealers have computer programs that can quickly dete the most cost-effective fertilizer blend and amount needed for your field b upon a soil test report. You may want to make some basic calculations you better understand this process and make decisions on your fertilization pr Computing the amount of a fertilizer needed for a given area is rather tricky at first, but after a few times, the logic falls into place and becomes second nature. The University of Tennessee Soil Testing Laboratory provides recommendations to agricultural producers in amounts of nitrogen, potassium as K2O and phosphorus as P2O5 to use per unit area. The next step is to determine the nutrient content of the fertilizer material to be used. The following example may help you in calculating the fertilizer nutrient content. Example 1. Calculating nutrient content of dry and liquid fertilizers — To determine the N, P2O5 and K2O content of a dry fertilizer, multiply the the material by the percentage (percent/100) of each fertilizer nutrient. ample, 100 pounds of 3-9-18 contains: 0.03 X 100 = 3 pounds of N; 0.0 9 pounds of P2O5; and 0.18 X 100 = 18 pounds of K2O. To calculate the N, P2O5 and K2O content of a liquid fertilizer, it is necessary to know both the grade and the weight of the material per gallon. One gallon of liquid 3-9-18 weighing 11.1 pounds would contain: 0.03 X 11.1 = 0.33 pounds of N per gallon; 0.09 X 11.1 = 1.0 pound of P2O5 per gallon and 0.18 X 11.1 = 2.0 pounds of K2O per gallon. Therefore, 9 gallons of the 3- 9-18 liquid would supply the same amount of available plant food as the 100 pounds of dry fertilizer with the same grade. Knowing the recommended amount of nutrient per acre (from your soil test report), the nutrient content of the material to be used and the number of acres to be treated, you can then readily determine how much of a given material will be required.